There has almost certainly been a place of worship in this area the same length of time as at Largo. The two churches were rededicated within two days by Bishop David de Bernham in 1243. With the old church having become too small and dilapidated a new church was built in 1817. It is easily recognisable with its small square tower and spire. It is now a private residence. The "new" church continued in use until the retirement of the Minister, Revd. George Frederick Cox, in 1958 when Newburn and Largo united. 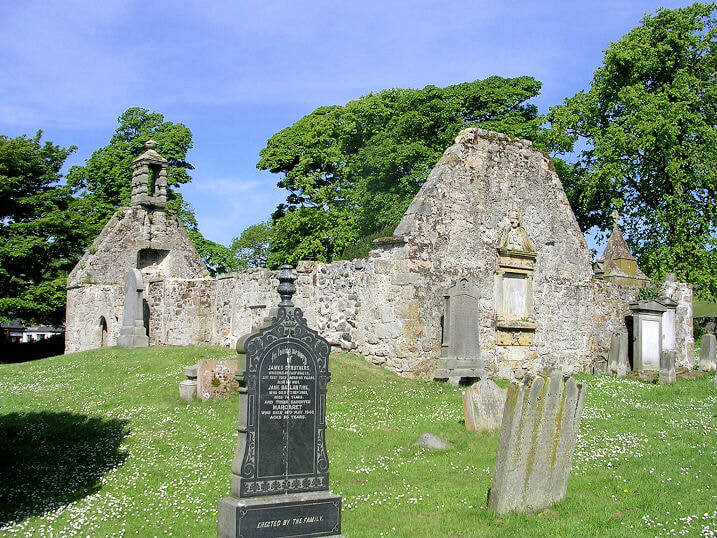 ​The 1914-1918 War Memorial and the fine communion silver have an honoured place in Largo Kirk. In addition in 1965 Newburn's pulpit and Baptismal font were also sited in Largo. The old churchyard contains memorials of considerable interest, included in which are some former Ministers. For a number of years a well attended open air evening service has been held in the grounds of the old church on the Sunday nearest to Mid Summer's Day. the Service in the open air. The Minister soon took his place. evoking mem’ries of the past. was shared by all the others, too. with opening prayers the heads all bow. to spoil the reading of the Word. to match the magic of the place. a man could lead a happy life. to all the people gathered there.